The temps here have been in the 70's! Hubby and I have been spending a lot of time outdoors trying to get some projects finished before it gets too hot. 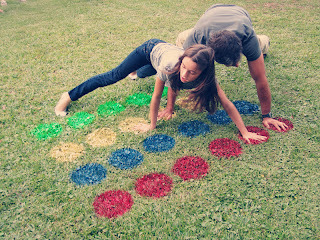 I have set up a few fun activities in our yard for the girls to entertain themselves while hubby and I work. I will be taking photos and sharing these activities with you later on. 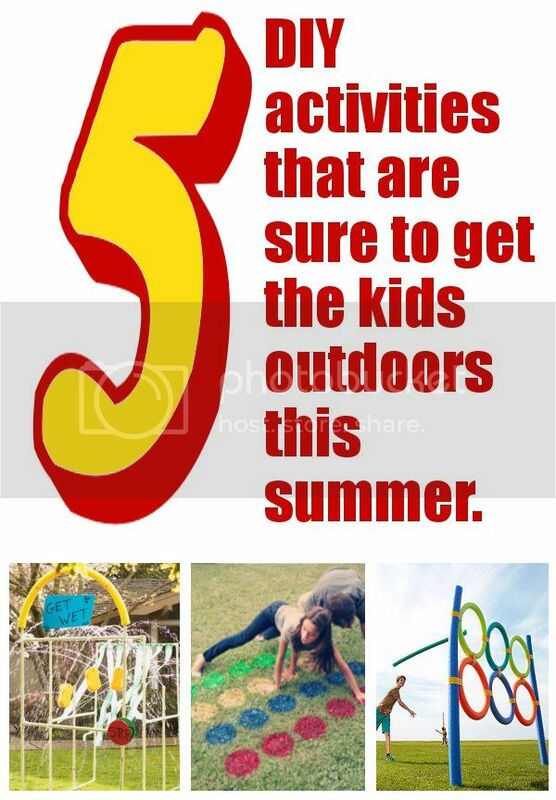 For now I would like to share some inspiration for you so that you can set up your own activities to get the kiddos outside and away from the TV. 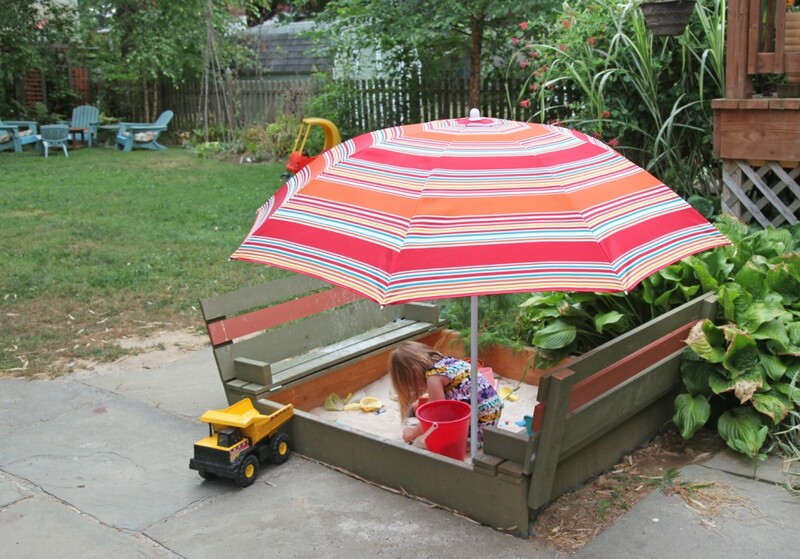 This sandbox has built in seats that actually fold down to form a lid. 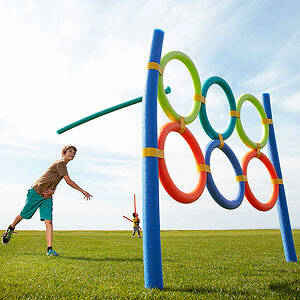 This fun Pool Noodle Game would only cost a few dollars to make and would provide tons of fun for the whole family. This photo was actually taken at a children's museum so there is no tutorial. However, with a little imagination and a lot of rope it would be easy to make your own. 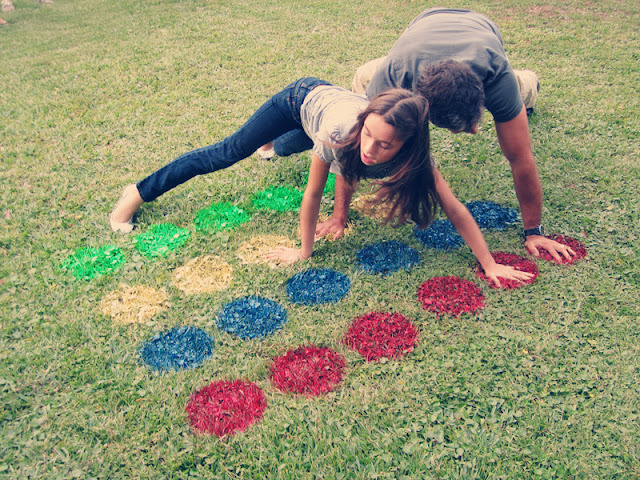 Set up a twister game in your front yard! 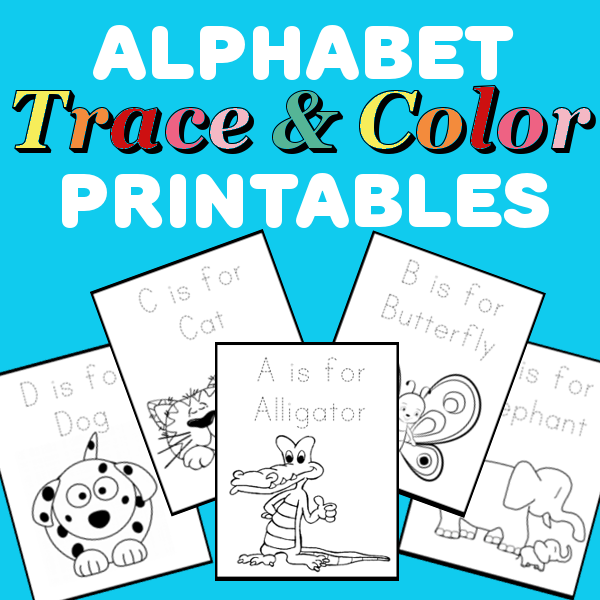 So much fun and would only take a few minutes to set up. This "car wash" was made from PVC pipe and cost less than $30. What a perfect way to spend a hot summer day. What about you? What kinds of outdoor activities do you have set up for your kids?